Gardner Lodge is proud to announce one of our apprentices has proved himself through his laboring in the quarry and obtained his Second Degree. 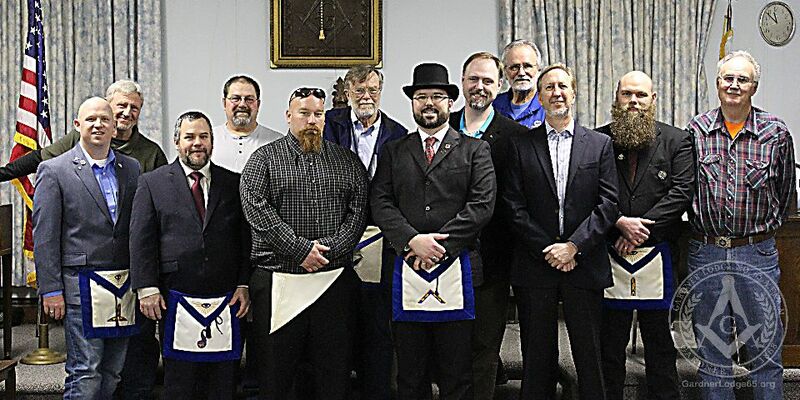 Brother Dustin Spillman, after being declared proficient in his memory work, continued his journey in Freemasonry Thursday evening obtaining his Second Degree. Please help us congratulate our newest Fellow Craft in Gardner Lodge. There is a bright future in the craft for this one.